The body was designed with the innate ability to heal itself when provided with the proper foundation. Healing comes from within. Ultimately, the promotion and maintenance of health is superior to the treatment of disease. A sustainable health care model is not possible without ending the massive abuse of medication and side effects they produce. Our primary goal is to empower and educate patients on natural solutions to their everyday health care needs. We will continue to research, develop and provide effective treatment. What we do today might be different next week. Why? Because we found something better. We will strive to always provide the highest quality natural solutions. Cincinnati Health Institute was created through the evolving vision and beliefs of Dr. Gregory Woeste. In 1992, he established Cincinnati Health Institute as a way of educating people about natural health care solutions. In 2011, Dr. Andrea Beaver joined Dr. Woeste in practice and they developed the Cincinnati Health Institute Store. 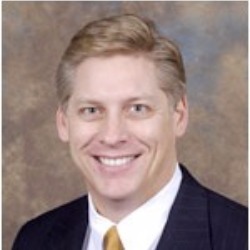 Dr. Greg Woeste has been practicing Chiropractic medicine since 1989. He graduated from LaSalle High School and then the University of Cincinnati with a Bachelor of Science degree. In 1988, he received his Doctorate in Chiropractic Medicine from the National College of Chiropractic. Dr. Woeste works closely with the medical community and feels that medicine and chiropractic offer patients complementary care for spinal conditions. Dr. Beaver joined our team in 2011. She earned her Doctorate in Chiropractic medicine from Palmer College of Chiropractic. She earned her B.S. in Exercise Science in 2008 from Pfeiffer University. 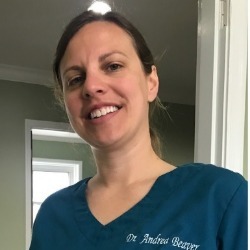 Dr. Beaver is an expert in the field of chiropractic, alternative health care, whole food supplements, how to be a ‘localvore’, and the proper path to achieve optimal health and wellness.